PUCHD Date Sheet 2019 has been released. Students can check PU Time Table from this page. 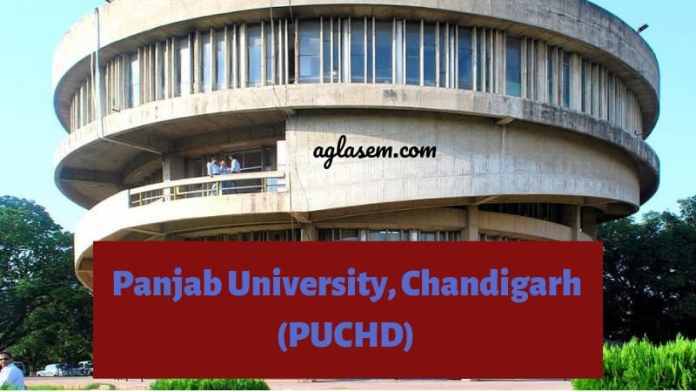 Panjab University Chandigarh Date Sheet is available for UG, PG, Professional, Certificate, Practical and Diploma/PG Diploma courses. Students can check PUCHD Date Sheet to know the exam date, time, day, subject, subject code, and exam centre. It is students responsibility to check the exam date sheet for their course and also to check any updates related to exam dates. Panjab University allows the eligible students to appear for the end semester exam. A student will be eligible to appear for the semester exam if he/she put the minimum of required attendance. Latest: Panjab University has released the date sheet for Bachelor of Vocational. (B. Voc.) (Food Science & Technology) – 2nd, 4th and 6th Semester (Regular/Reappear) Examination (May-2019). Students eligible to appear for the end semester examination students have to submit the exam form and fess before the last date. Panjab University will issue the admit card for all the eligible students. It is important to carry the Panjab Admit Card and college id on the day of the exam. Check the table for Panjab University Date Sheet. Date Sheet: Click Here to check Panjab University Date Sheet 2018. Panjab University Date Sheet 2019: How to Check? PU Result 2018 can be checked online through the website of Panjab University. Students appeared for the semester examination can check the total marks obtained. The students qualifying in the examination will be promoted to the next semester automatically. The students can even apply for rechecking of examination to be held in February/March-2019Examination to be held in February/March-2019nswer – Book if not satisfied with the marks obtained in the examination. Check PU Result 2018 for more information.